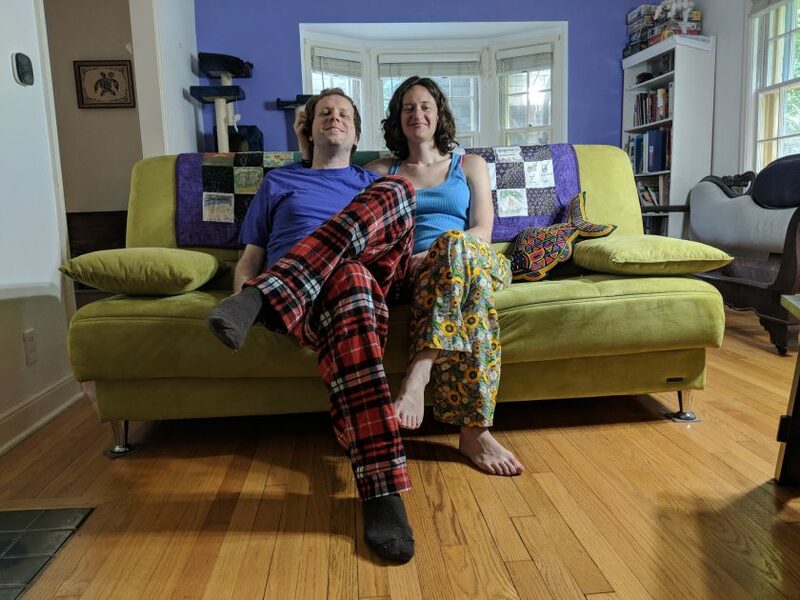 I have little soft spot in my heart for making pyjama pants as they were the very first thing I ever sewed! I think they are a great beginner project as they are only two pieces, and the fit is not at all critical. And if they aren’t perfect, it’s not like anyone will notice. 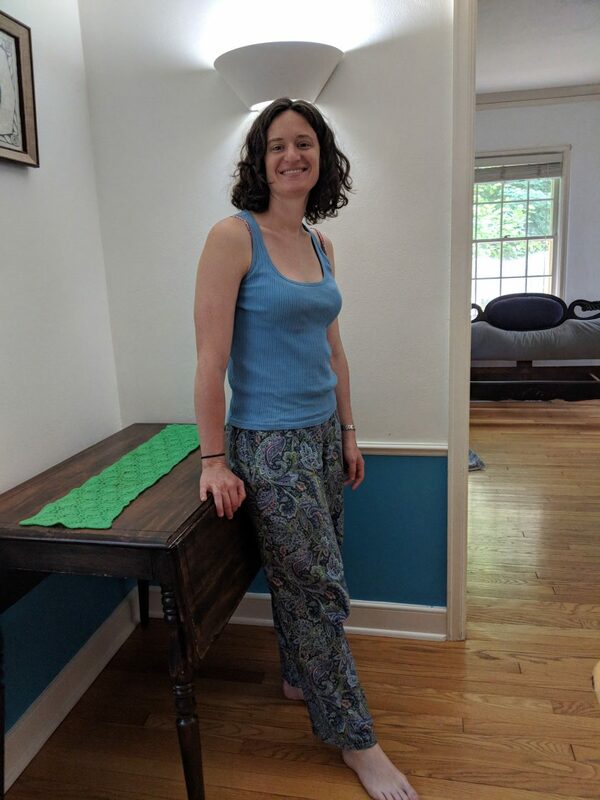 My first pair of pyjamas pants was finally starting to show their age (almost 2 decades! ), so I decided to retire them while the fabric was still intact. They have since been recycled into quilt squares. Naturally, I needed some new ones to replace them. 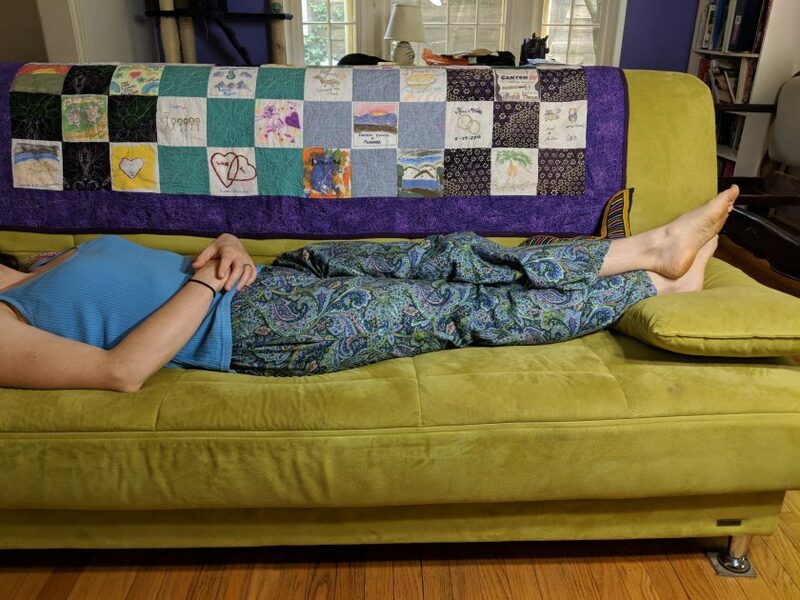 This is actually the same pattern that I used the first time, although I did raise the crotch a bit (I believe it was a unisex pattern). The fabrics are two fun cotton flannel prints. Construction was obviously super easy. 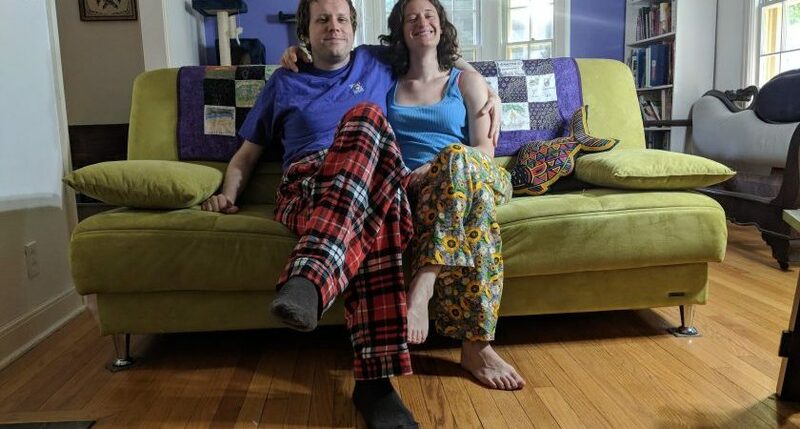 Since I was making pants for me, I also wanted to make some for my husband. He has an old pair of pyjama pants that he LOVES. I think they are super ugly, and I have refused to mend them, so they now have an increasing number of holes. 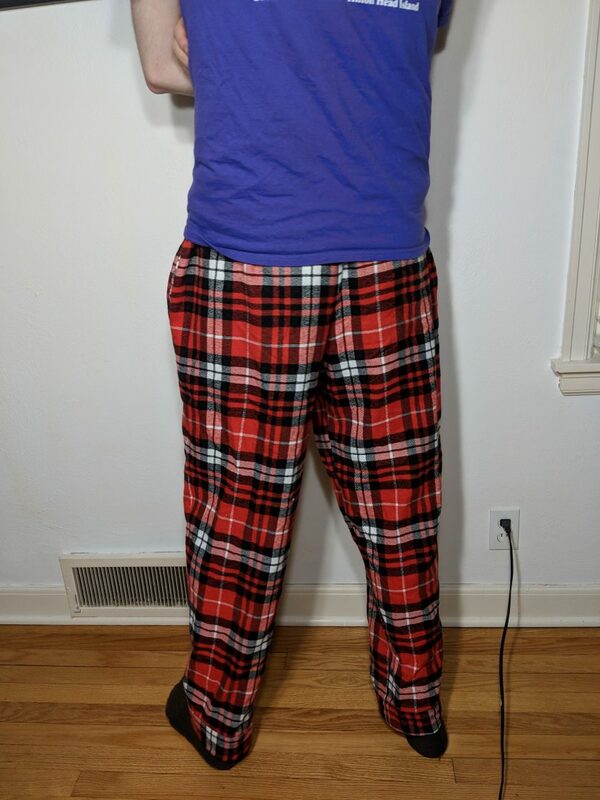 He told me that if I could make him pants that were as comfy, he would consider giving them up. 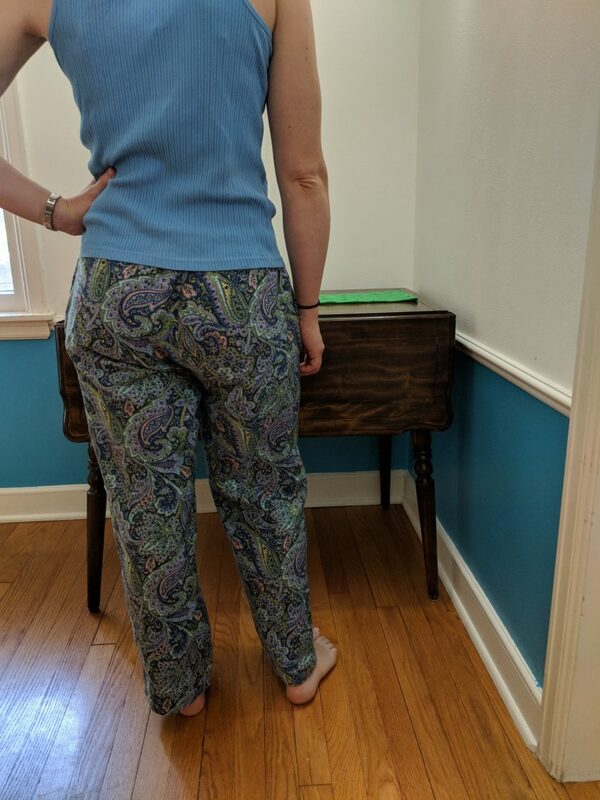 I used the pants pattern from McCalls’s 7428, which is the same pattern that I used for our bathrobes (and two more). I measured the inseam on his current favorite pants to make sure they were long enough. 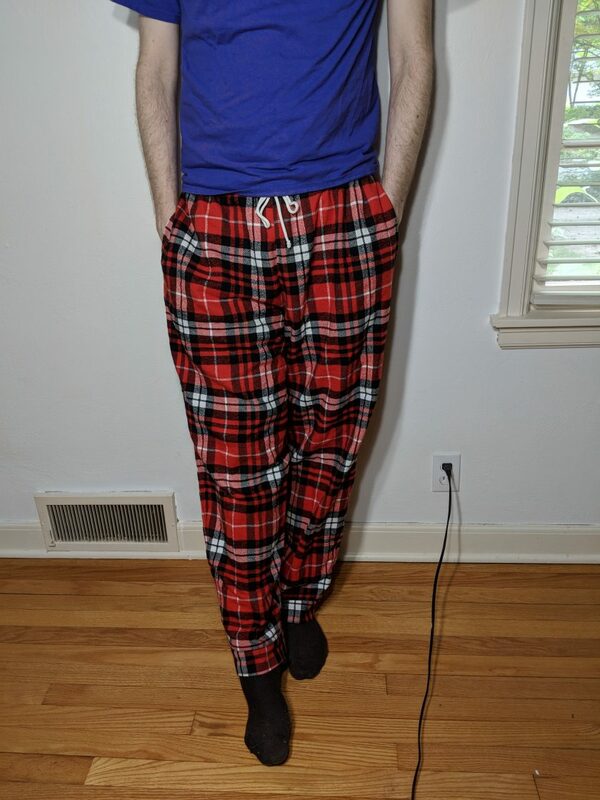 Other than that, I figured they were pyjama pants and the fit should be fine as long as they weren’t too small. Turns out, I was wrong. They ended up being too big and so low in the crotch that they were uncomfortable. I was able to shorten the crotch by taking some off the waist, but I ended up making the back rise too short. Weirdly enough, Wade found that wearing them backwards was more comfortable. I made new holes for the drawstring, and this seems to be a workable solution. After raising the crotch, the length was too short, but that was easy to fix by adding a cuff. For the next pair, I am hoping to take apart his favorite pants and copy the pattern so that I can make the perfect pair. Wade is also not in love with the fabric. I got a different colorway of the same flannel that I used for the bathrobes, Kaufman mammoth flannel. It is not quite a cozy as Wade would like, so we may have to try something else. 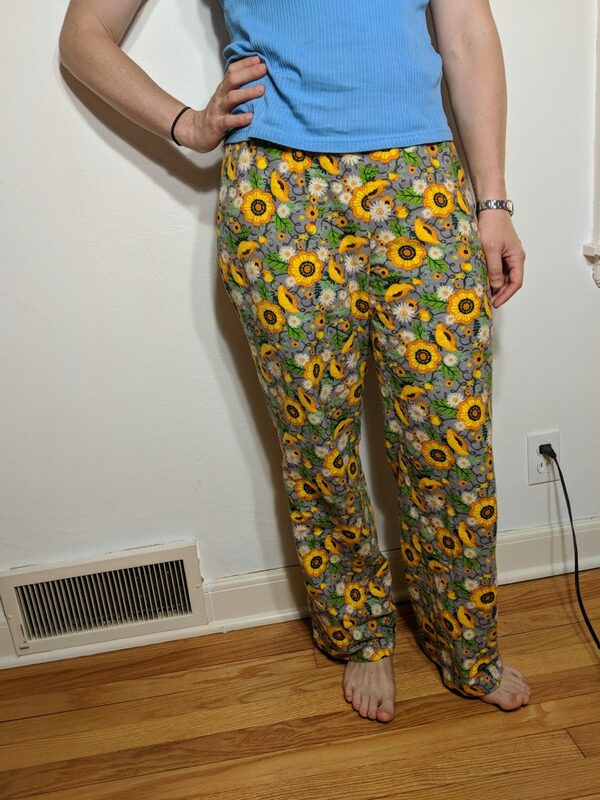 Although I still haven’t made Wade the perfect pyjama pants, I am very happy with mine (in fact I have a third pair planned in the cutest cat print). 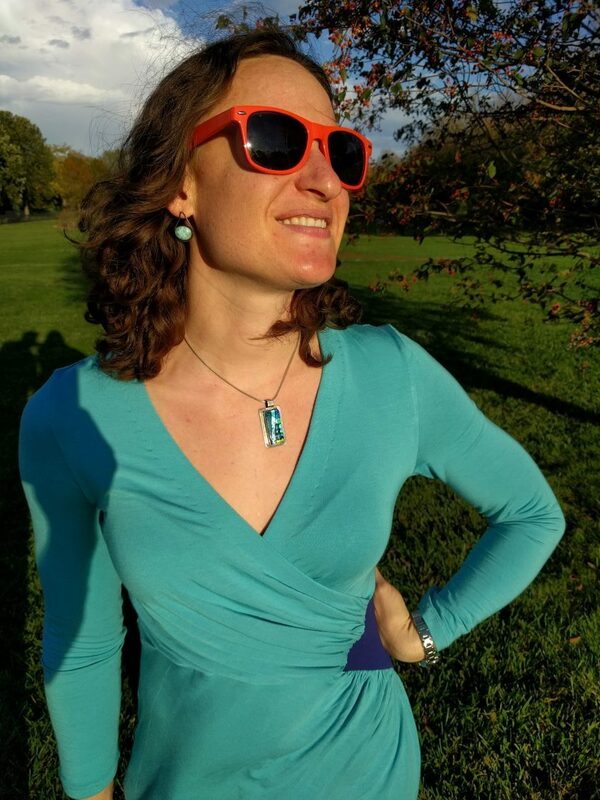 Two out of three isn’t bad!